Wedding Breakfasts, Civil Cermemonies, Spring Balls, Dinner Dances, Anniversaries, Christenings etc. 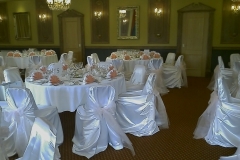 Our chair covers and organza are of the highest quality and are freshly laundered and pressed before we dress your event. The price includes us personally fitting them for you with an organza bow in the colour of your choice if required. 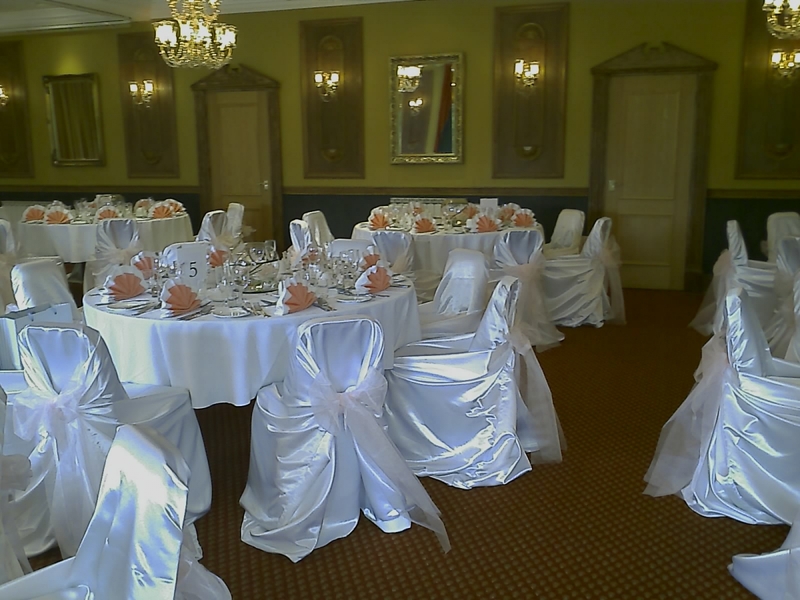 These beautiful Chair covers will transform any room into something special,giving it that elegant finishing touch with the ‘WOW’ factor, giving the best possible first and lasting impression that you are looking for. We offer a free local delivery and collection service and our prices are the most competitive around. If the venue is outside of the Swindon/Bristol area, there may be a small mileage charge depending on the number of chair covers hired.